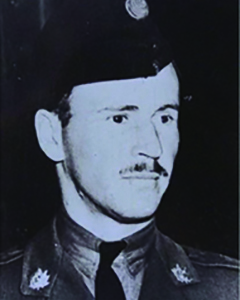 Honorary Lieutenant Colonel Edward A. Dunlop, GM, OBE, CM, 1919-1981. 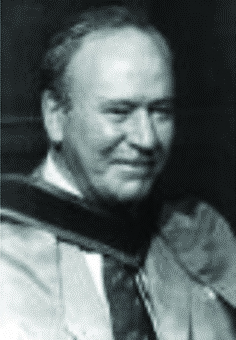 Today, we are proud that the CRA has chosen to honour the legacy of Mr. Dunlop and Mrs. Dottridge with the annual Dunlop-Dottridge lectureship recognizing excellence in rheumatology on an international scale. The authors would like to thank Dr. Tassos Anastassiades for his review and helpful comments, as well as Dr. Murray Urowitz for providing us with supplemental information. A special thanks to Claire McGowan of the CRA for her support and assistance as well. 1. Canadian Rheumatology Association. Awards. Available at rheum.ca/ awards/. Accessed November 2018. 2. Wikipedia entry on Dr. Edward Dunlop. Available at https://en.wikipedia. org/wiki/Edward_Arunah_Dunlop. Accessed November 2018. 3. The Queen's Own Rifles of Canada Regimental Museum and Archives. 4. The Canadian Rheumatism Association. History section. Accessed November 2018. 5. Personal communication with Dr. Paul Davis. November 2018.